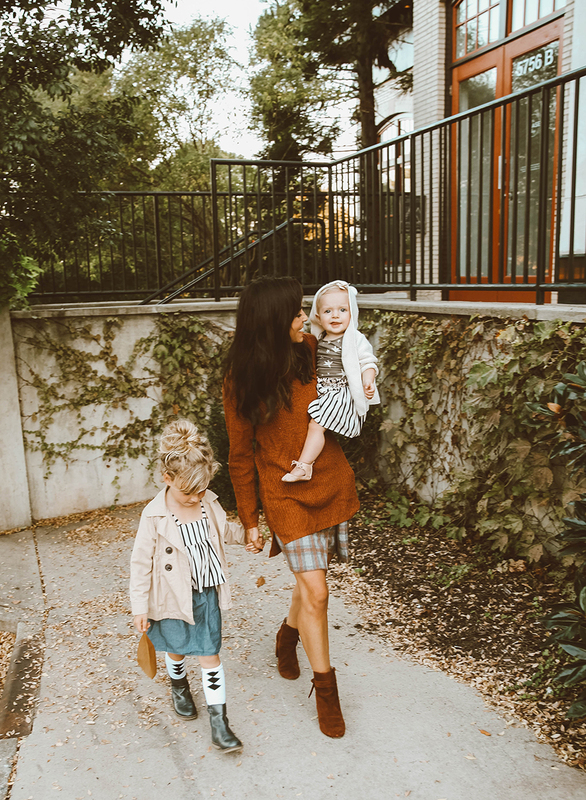 After trying my own capsule wardrobe I realized I should be doing this for my kids too.! They don’t need much, and usually want to wear the same favorites over and over again. Sound familiar? I usually get most of my kids’ clothes at consignment shops or old navy, and love supporting small shops when I can. 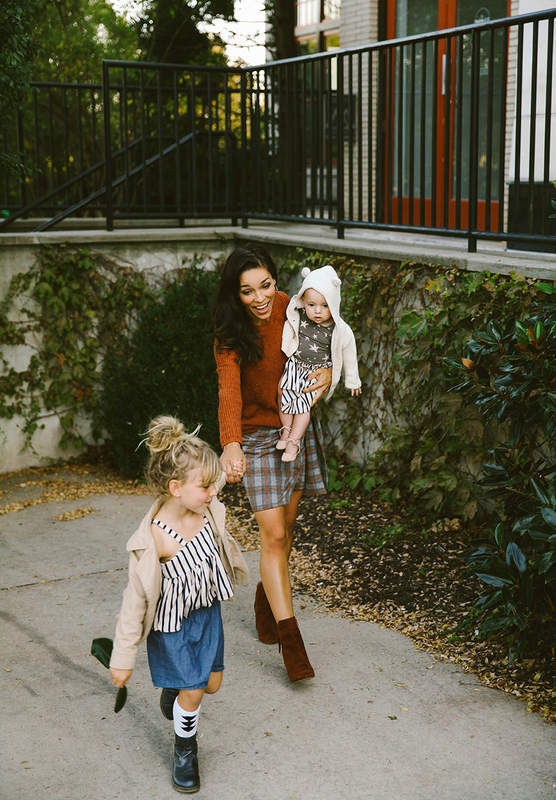 I found some great separates that work well for a kids capsule wardrobe for fall and winter months as thought starters if you need some ideas! These are thought starters, but each girl can generally can get buy with a few skirts, a few dresses, 3 pants, and 7 tops and sweaters. Somehow Veronica still wears holes into most of her clothing so really appreciating the thicker clothing these days! My boys also play hard and usually destroy their clothes quick, so I appreciate these well made durable items from Peekaboo Beans (super soft and thick material). 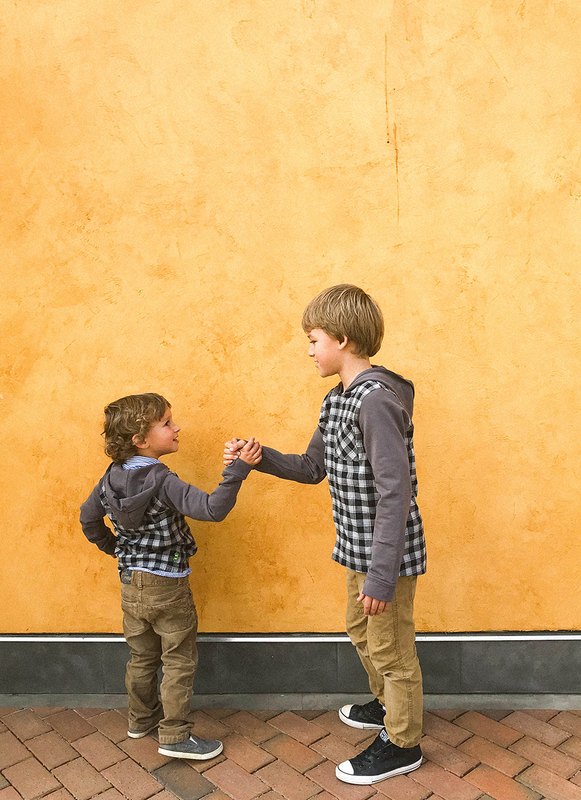 I also love the European styles for kids because they still have that old fashioned look. For special occasions it is nice to have a good dress or sweater on hand like the Olivia Ann line. 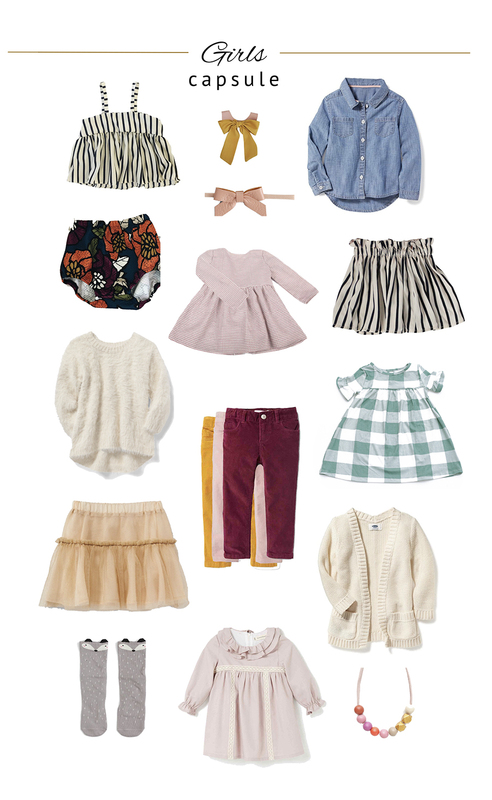 For playtime dresses, Shop Plain Jane are hands down my favorites. This shop is run by a mother who really gets the fact that girls like to climb, jump, and get messy too. Shop Bitte is a favorite for toys and gifts, but they carry some really great clothing options as well. This is a new small business so I like to support them! For outerwear and shoes, I generally try to get back with 2-3 pairs of shoes each, and 2 coats. 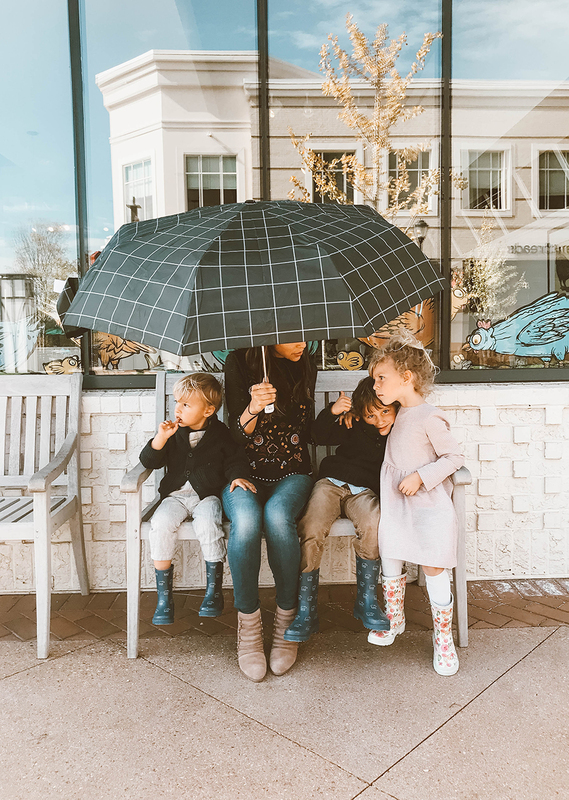 My friend Janssen just launched her rain boot shop London Littles, and they are the most adorable pairs! We had a growing pile of hand-me downs with my boys and just donated an entire bag of coats to a local shelter. Better for them to be put to use by someone who really needs them! What are some of your favorite resources for kids’ clothes? Have you lasted a season with a select amount of items? 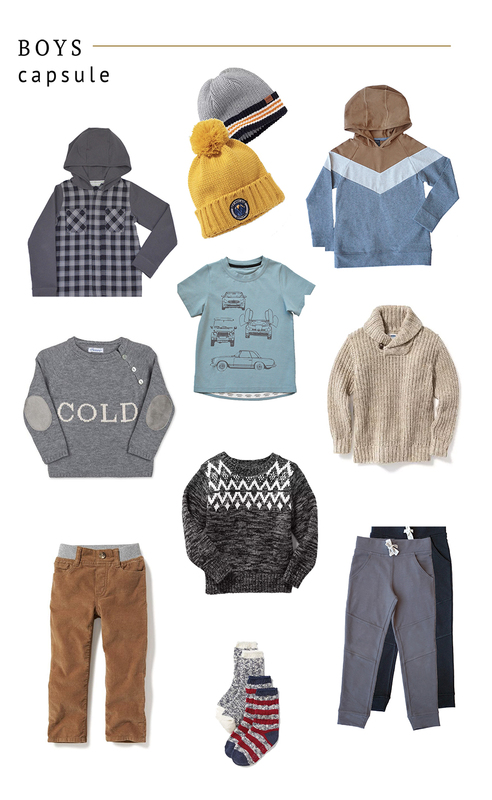 I never thought of extending the capsule wardrobe for kids. It actually makes a LOT more sense for them to have them, even more than adults since they’re growing! Seriously what a great idea. This saves room for drawer space but also makes it easier for them to get dressed by themselves. They love to be independent. I bet it also saves from the clothes all over the floor because they’re searching for something. I NEED TO DO THIS!!!!!!!!!! But before that (ha) do you have an exact link for your boots? love them!